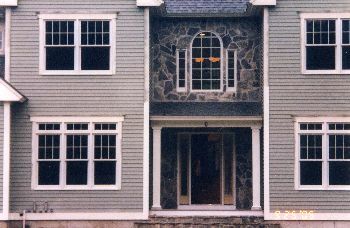 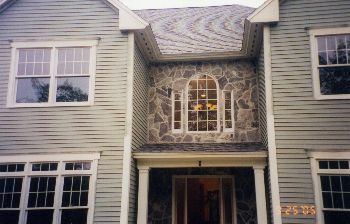 This is an example of thin stone veneer work done by Rodney Masonry. 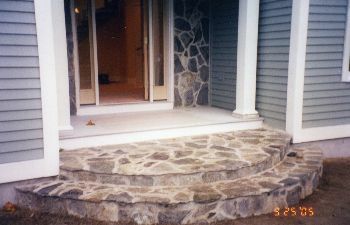 This was new contruction t the Falmouth Country Club. 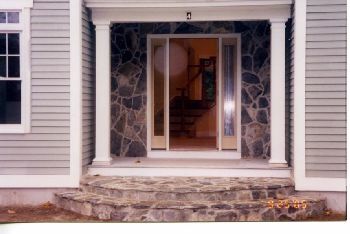 This stone veneer in Chocolate Dove Gray, applied to the entry way, entry window and custom stone steps.